I put the back onto the front face to face. I leave the lining of the back detached for now. You should carefully check how well all control points at the top are aligned. 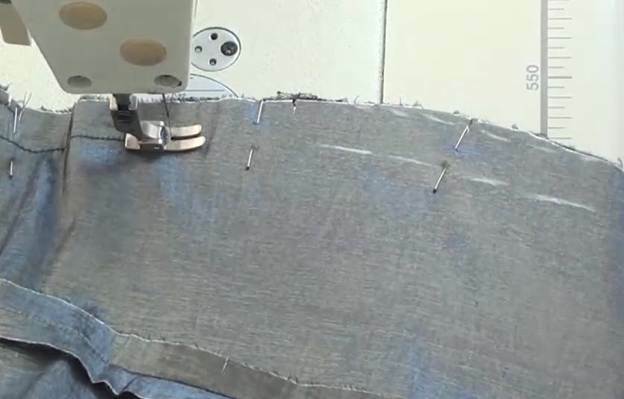 I align the notches along the entire side seam. And I check if the decorative stripes at the front are aligned with those at the back well enough. It looks great! 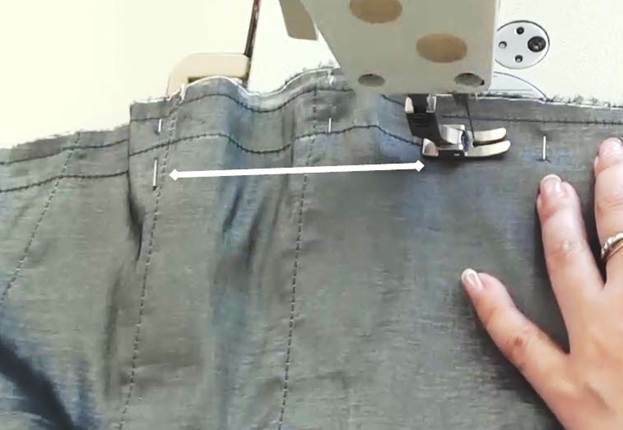 I carefully align the notch at the bottom of the back (the side seam edge) with the bottom of the front and secure it with a pin. And I wrap the bottom edge of the front in the hem of the back. I secure it with a pin. I do the same with the other half of the back. 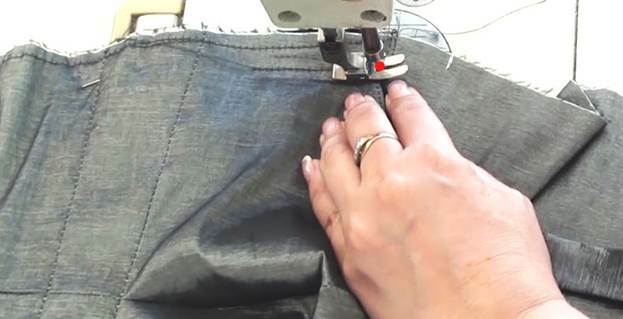 I sew down the side seams with a 2cm seam allowance. 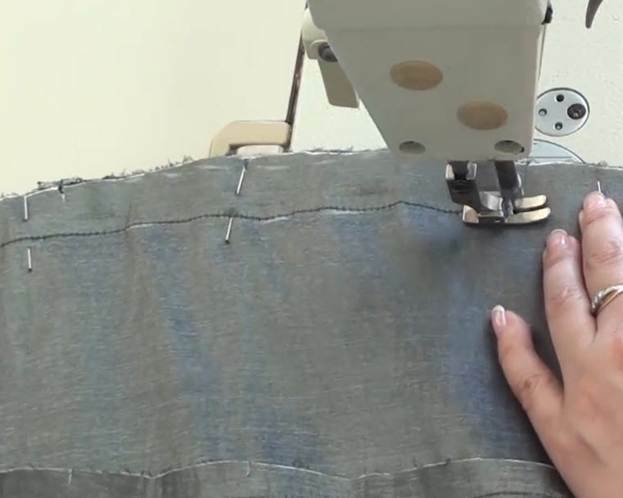 I pull the lining up because it is not supposed to be involved in the sewing of the side seams. 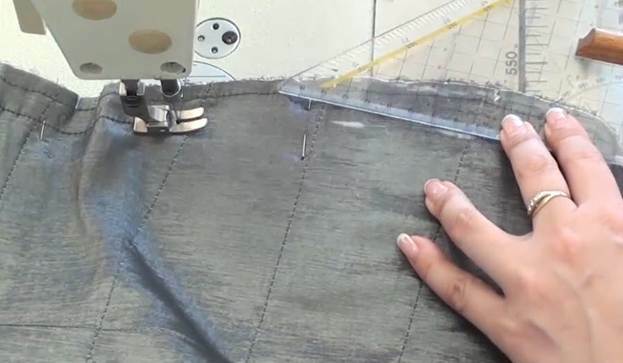 I place the needle right at the intersection of the lining-finished top edge of the back and the top edge of the front at a presser-foot distance from the edge. 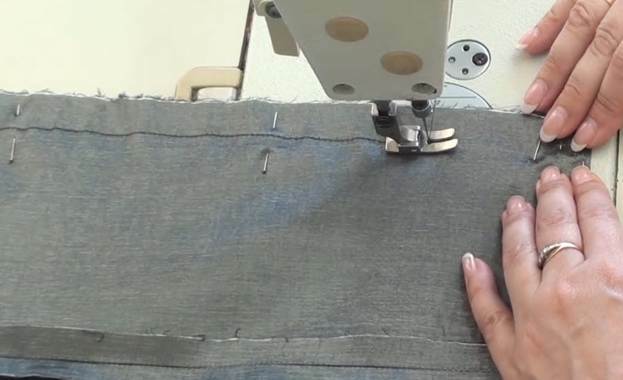 Here is how I make the bar tack: first I sew a couple stitches forward and then I return to the initial point. pulling the thread, and continue stitching. I reach the hip line. I don't like the shape of the side seam at the level of the hip line: it is way too arched and won't look good on the body. I have decided to straighten this highly pronounced arc of the side seam. I draw a new side line and a new side seam 2cm from it. I reach the bottom of the dress. There is a turned hem at the bottom. I make a bar tack and remove the pins. 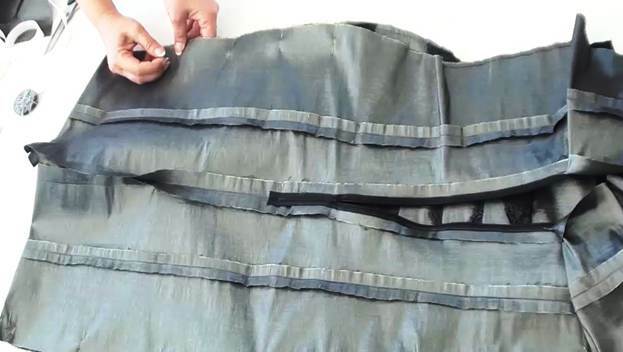 Those decorative stripes at the front make the dress more resilient and durable. I check the quality of the side seam at the top. It's all good! 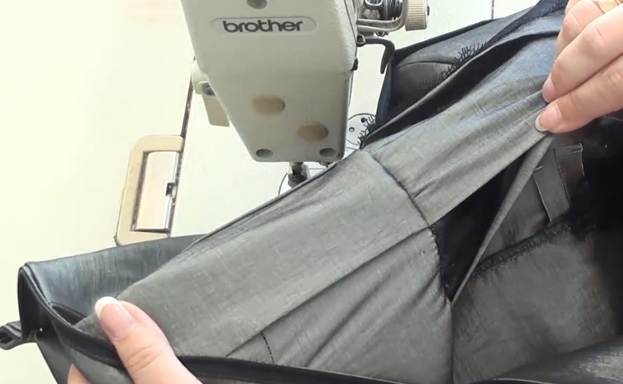 Let's move on to the other side seam. 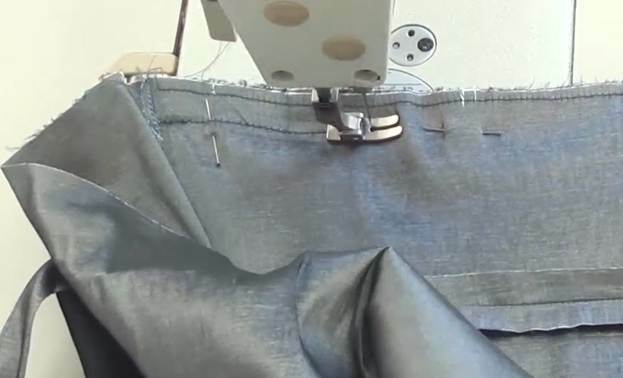 First, I sew a small area of the side seam from the face so as to get into the very intersection of the lining-finished top edge of the back and the top edge of the front at a seam allowance distance from the edge. 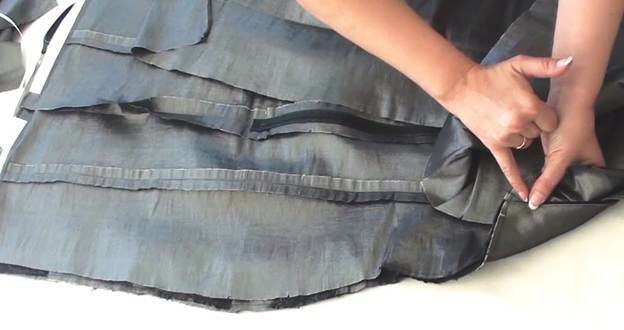 Trust me, you will never get right into that intersection point if you sew from the other side of the dress! I make a bar tack. And then I turn the garment around and continue sewing the side seam trying to get into the very same needle-pierced holes. I reach the hip line. 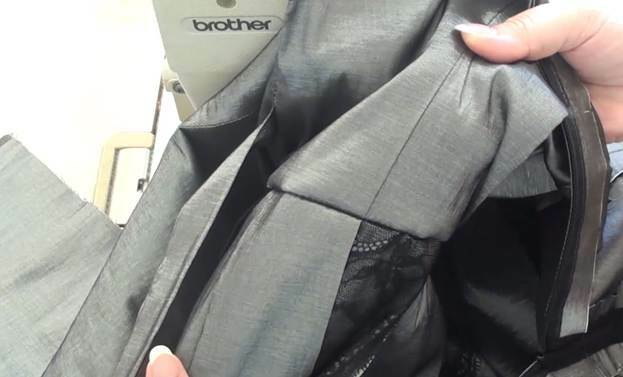 Again, I will somewhat straighten the side seam at the hip level like I did from the opposite side of the dress. I re-draw the side line, step 2cm from it, and draw a new side seam. 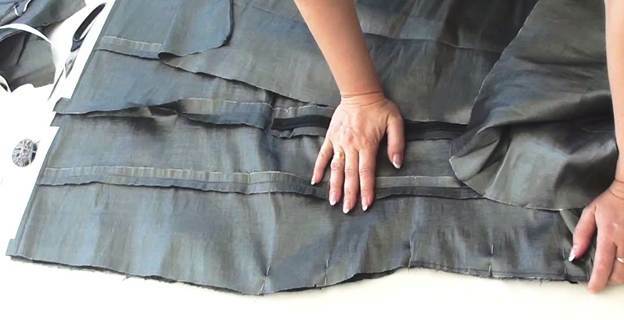 I reach the bottom of the dress. I make a bar tack and remove the pins. 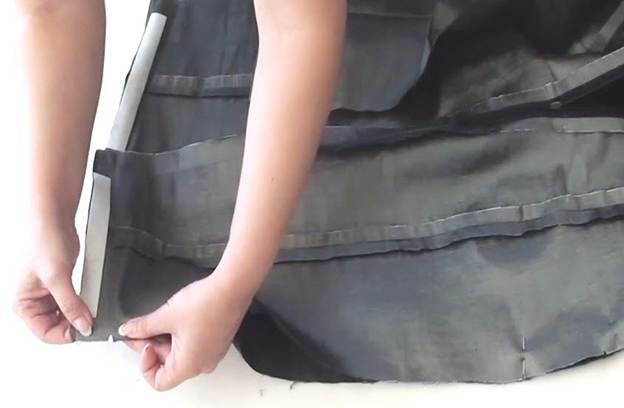 Right now you can check how well the decorative stripes merge together in the side seam. As you can see, they are perfectly aligned and the lace insets look neat. It's time to carry out a fitting now that I have sewn the side seams. 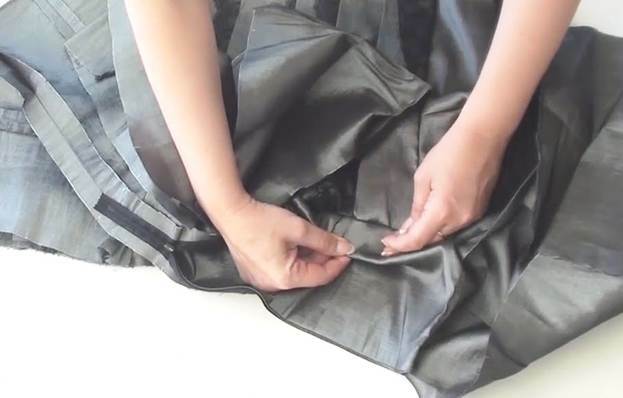 And it's important to measure the dress right now, before covering the side seams with the lining. 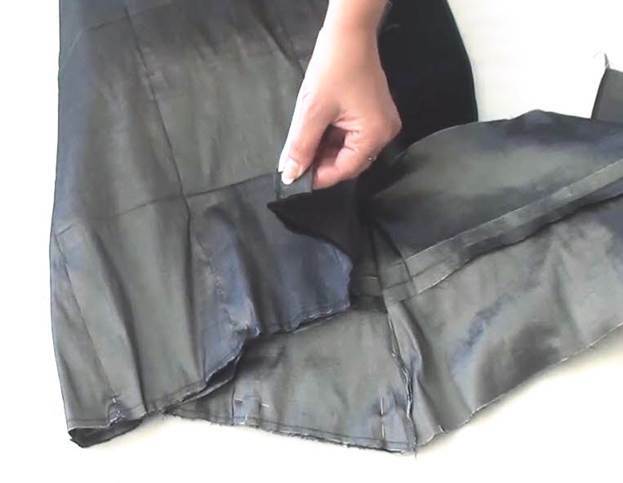 Of course, you will still be able to apply some minor adjustments afterwards but now is the best time to do it: you simply won't have to rip up as much.